Friday Night Services begin at 7:30pm followed by Shabbat Dinner. All are invited. Please RSVP for dinner by clicking on more information. 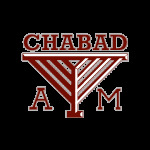 Join us For Shabbat Dinner at Chabad. STUDENTS are FREE. Community RSVP $18. Good Friends, Good Company, Good Food. Hands-on enrichment program where kids don't want to miss a day. Do you love to Cook? Hang out with friends and cook up a storm at our weekly Kosher Cooking Club!